The Good, Bad, and The Yellow? 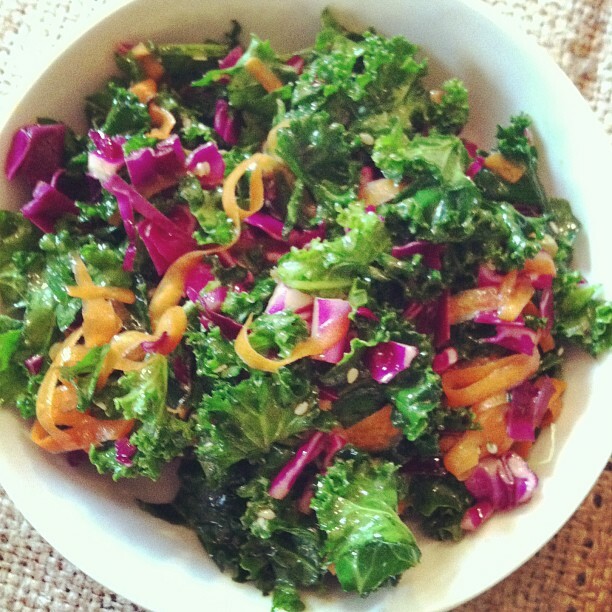 I’m hoping to post a recipe fairly regularly featuring my fav vegetable right now: kale. Now if you think you hate it or haven’t tried it, let me assure you that this leafy green packs a tasty punch full of nutrition, so it’s definitely worth a shot. Check out my first recipe HERE. That looks Yummy….I love kale too. I also love red cabbage so it’s a perfect combo! Thanks for the recipe.